They can reach 1/8 to 22 inches in length, depending on the species. They are white, yellow, beige, pink, green or black colored but can quickly change the color of their body to blend in with its environment. Frogfish do not have scales and they seem to be sponge-like. 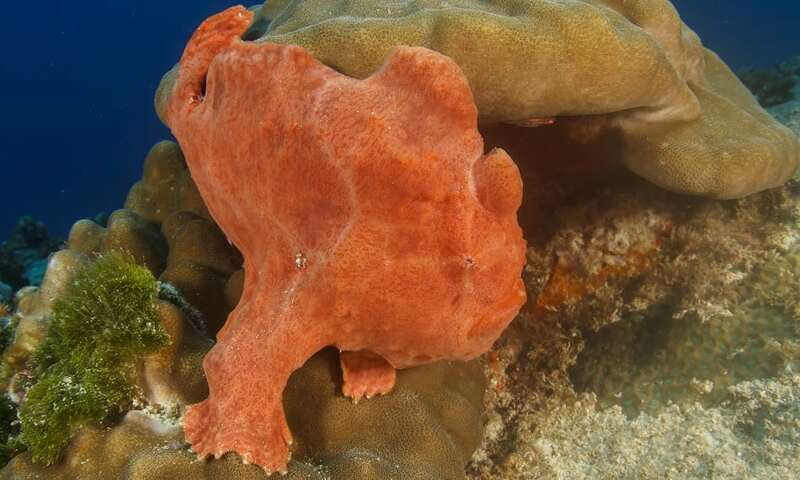 Frogfish can swallow prey 2x its size because their mouth can expand 12x its normal size. Frogfish do not have teeth and therefore swallow prey in one piece.